Although I dearly miss the creative process of crafting a modern quilt, the break from it has led me in a new and really fun direction. 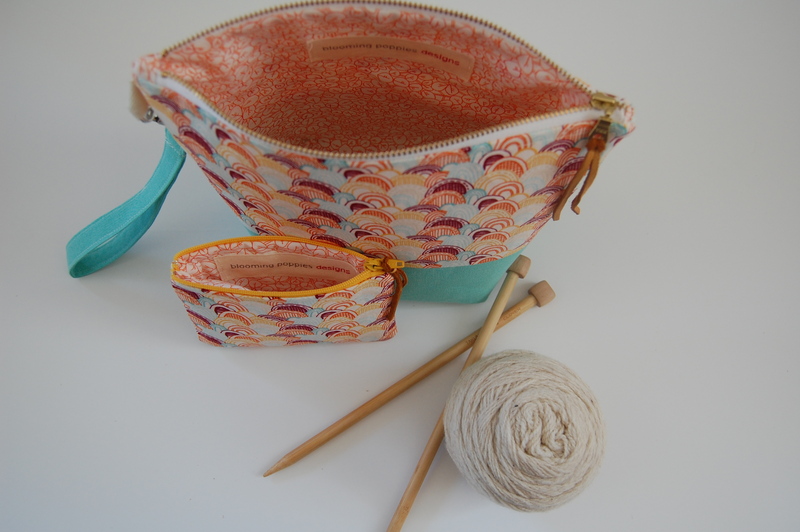 Although I have dabbled in making bags and zipper pouches off and on for years, I have only just recently immersed myself in the joy of crafting different sizes and styles– project bags, make-up bags, pencil cases, coin purses, etc. 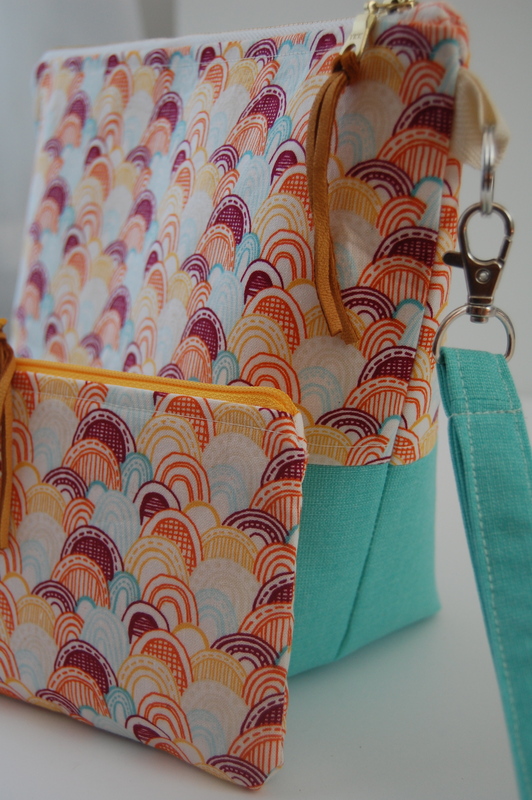 I must admit, I have been having so much fun creating again and am honing in on just those styles/sizes that “make sense” (what do friends and family ask for, what do I want in a bag? ), while at the same time creating new functional designs for all those everyday needs of our modern lifestyle- more on that in a later post! I couldn’t be happier to have recently been invited to handcraft some of my bags to sell in another of our local knit shops here in Santa Barbara! This invitation was really a catalyst for “stepping up my bag game” (Thank you Josie)! 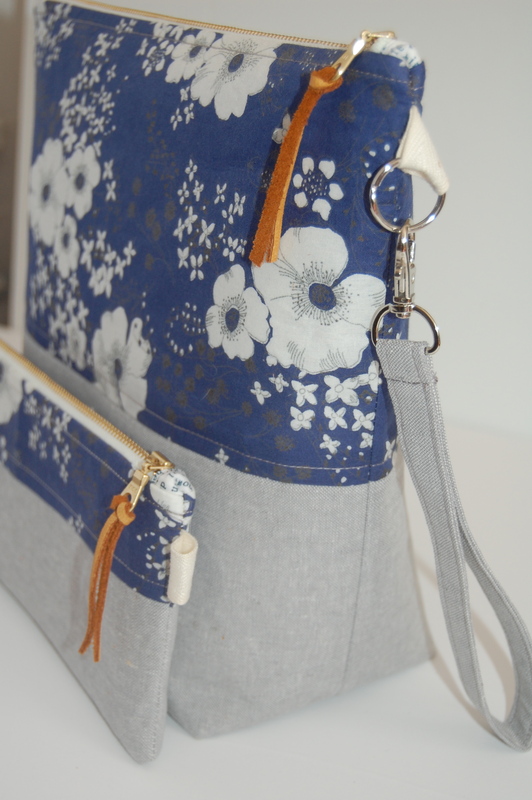 These bags are each made with incredible attention to detail and very high quality fabrics, zippers, finishes, etc. 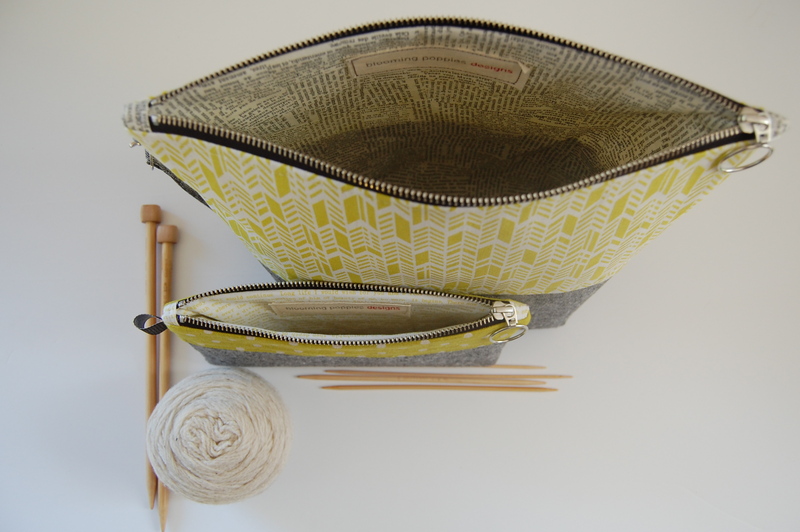 I have discovered that making a bag that I would want to use (and of course do), and purchase is the way to making a really quality piece of workmanship. I suppose it’s no different than creating a quilt in that aspect, right? I’m happy to say, I have finished close to 20 zipper pouches that will be sold as knitting project bags, knitting needle pouches and knitting notions holders, but could most certainly be used for a wide variety of items, make-up, sewing projects, art supplies, yarn, personal items, money, passports, etc. 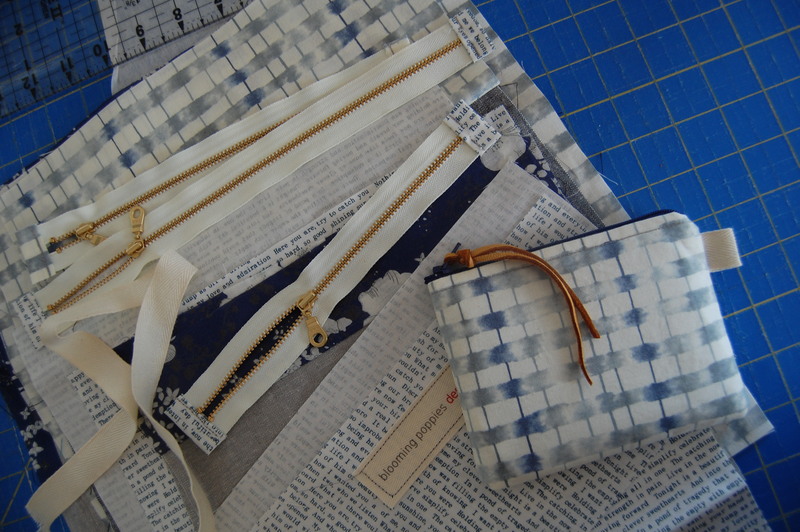 I have enjoyed using my most quality fabrics; yarn dyed linens, Mochi LInen blends, Shot Cottons, beautiful Japanese imports that have been waiting for just the right project, etc., and high quality metal zippers, with luxurious soft leather zipper pulls. Ooh la la! 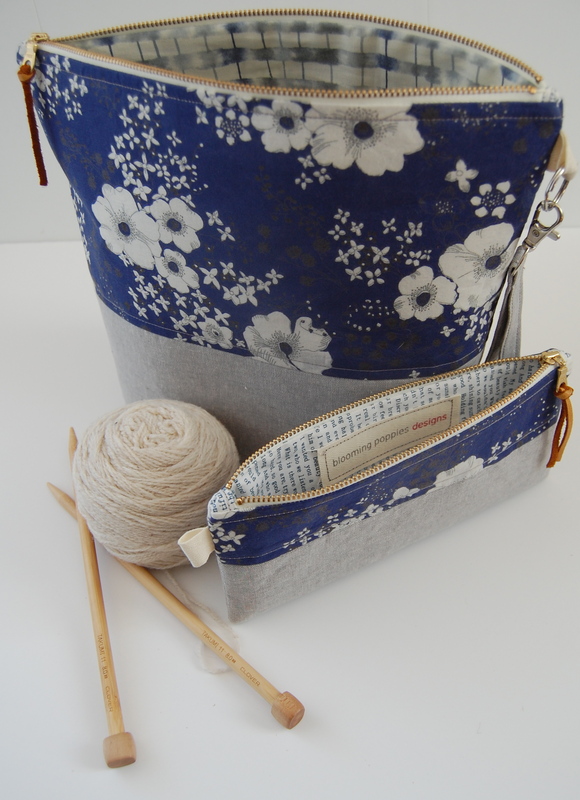 I kindly invite you to my newly named and recently filled Etsy shop- BPoppiesHandmade, for more like this or to request your own custom order of similar pouches. This shop is definitely still a work in progress, however such a labor of love. I have discovered a new handcrafted passion and am branching out in different directions with each passing week, developing new designs, streamlining my ordering process, improving my photography skills and on and on. 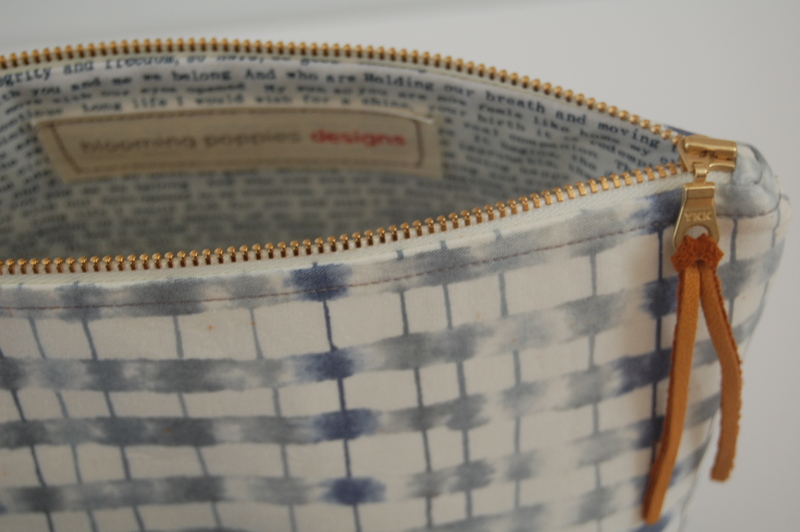 I hope you’ll join me on this next leg of my creative, handcrafting journey! ….and for any local readers/knitters, feel free to stop in to Cardigans to see my bags and all of the other lovely offerings there. The attention to detail and your creativity is amazing. I love them. I have two already and use them a lot. Well dang Karen, there you go again doing just amazing things with your talents galore. 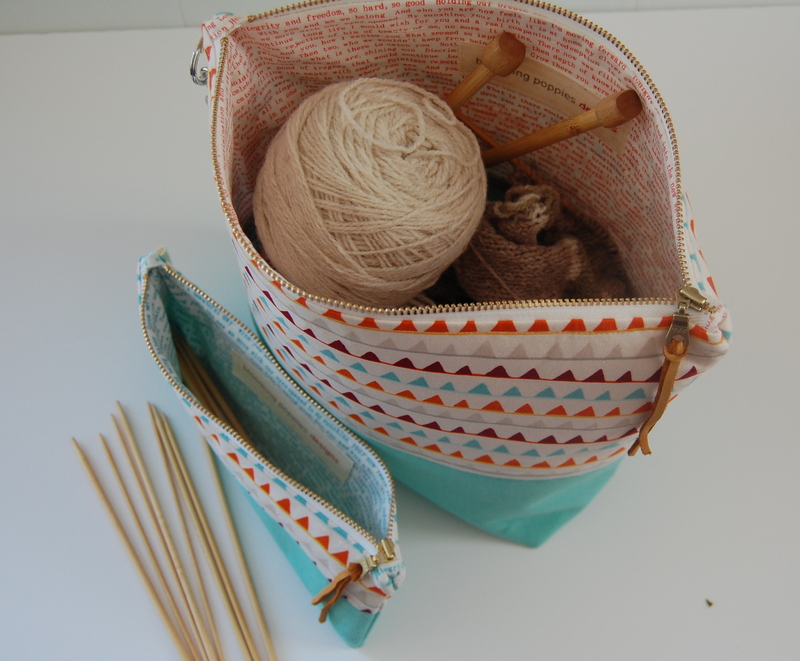 I LOVE every single bag you shared on this post and I don’t even knit! I am excited to head over to etsy and see more of your gems. Love the bags! Love your labels, too. Mind sharing where you ordered them? Thanks so much! I’m happy to share…. I ordered and re-ordered many times, from mommiemadeit on Etsy! She’s super easy to work with and has nice turnaround time. Lovely! 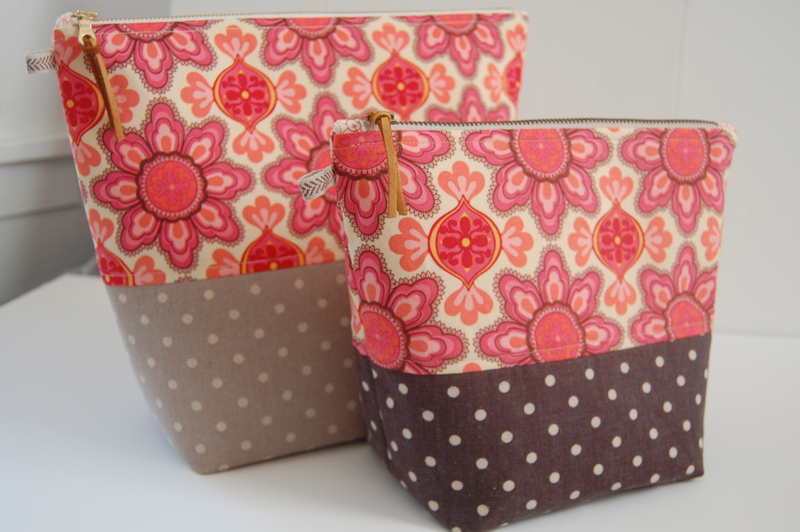 I love the fabrics! Your bags are beautiful. Congrats on your new shop. Lovely bags with the greatest attention to detail. The photos were beautifully staged and inviting. These are beautiful, Karen! And so practical. 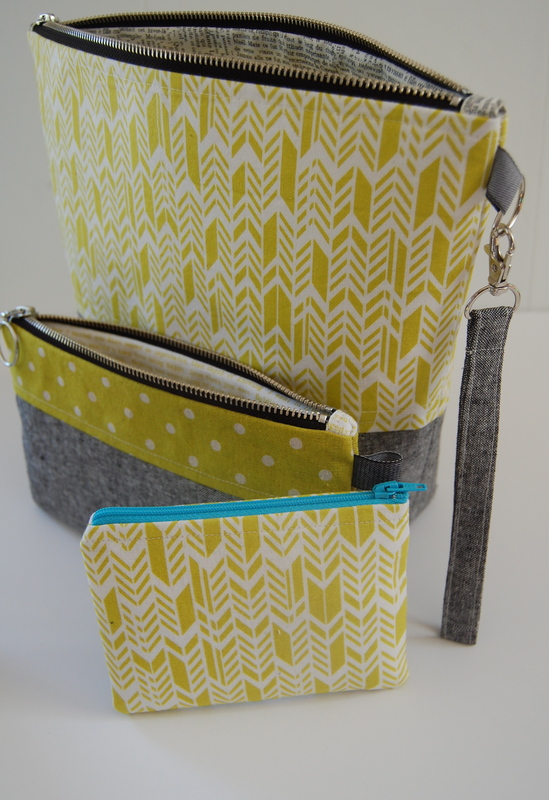 I can never have enough pouches and bags! These are so gorgeous, I want one! I love the color combinations, keep up the amazing work! I’m amazed at your talent! 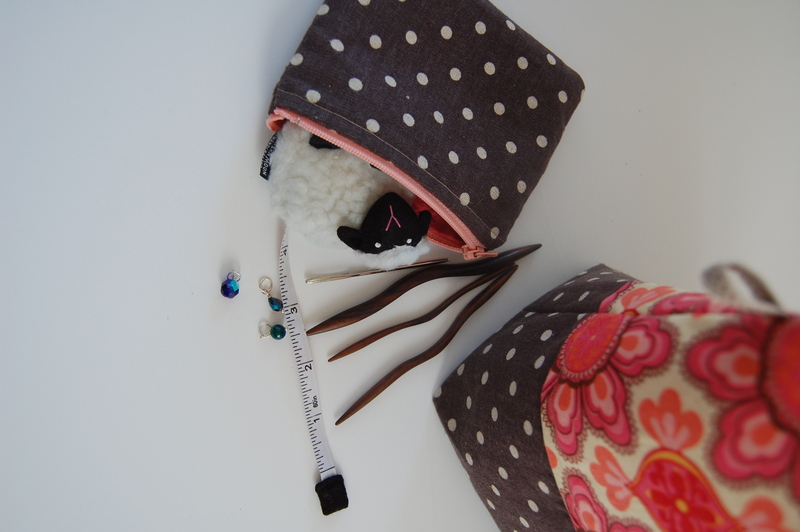 I’ve been working on sewing the prefect zippy pouch with tabs. 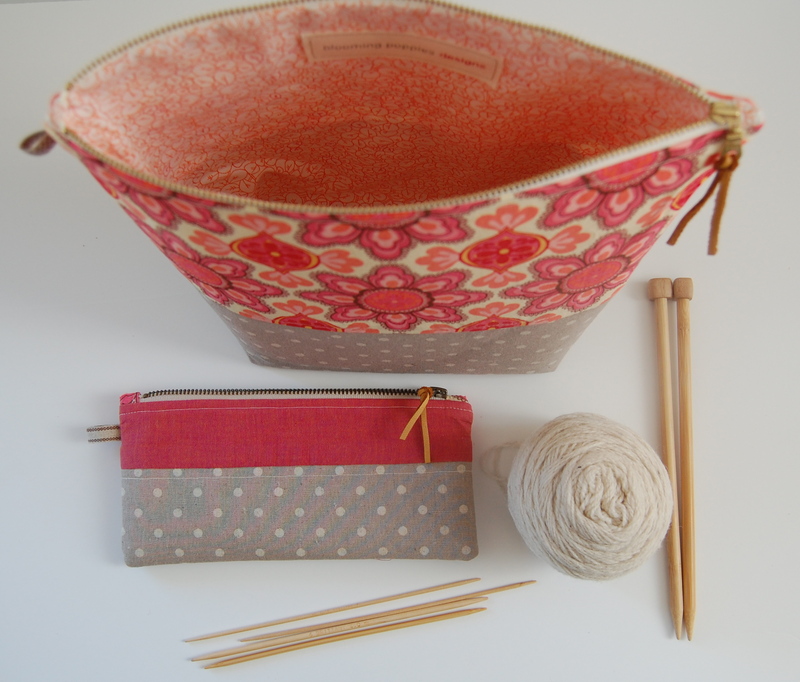 I just can’t seem to get my lining straight inside the pouch (it’s usually sort of twisted). Also, none of your zippers are pinched – simply amazing! You are one talented seamstress. Your bags are so wonderful, so pretty and sophisticated. I love them!! Gorgeous!